Airbrush makeup was designed for films, T.V and photography. This formula is Silicone based, long lasting and requires no touch ups all day. Which means whatever the weather your going to look completely gorgeous. Airbrush makeup feels light weight without compromising the coverage, you can have as little as the look of a tinted moisturiser or more than a full coverage foundation- the possibilities are endless. The product Jodie uses allows the skin to breath as it is applied on top of the skin which means it is perfect for all ages and skin types. Mature skins will notice small lines are reduced and any redness disappeared. The product is safe for very sensitive, oily and dry skins the choice of finish depending on your own personal preference is up to you. 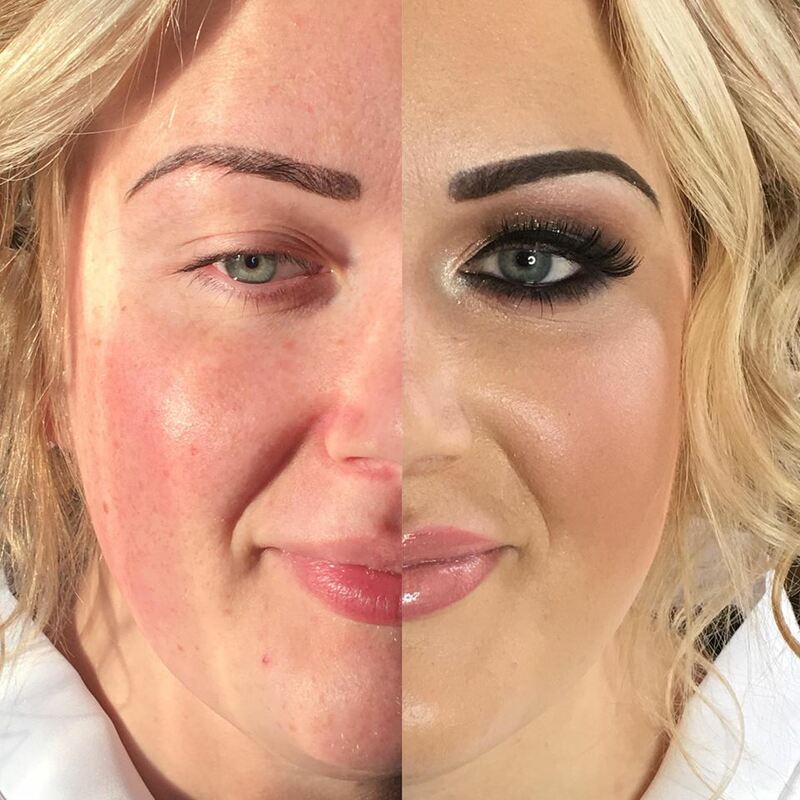 Airbrush makeup is sprayed onto the skin so it is a rather different look and feel to regular makeup, the makeup is sprayed through a small gun in tiny little particles, which once sprayed all over the face form a solid "mask like" finish.